Armored Cable Glands - Solution Control Systems Inc. Armored Cable Glands - Solution Control Systems Inc. These glands are also rated for div 1 and 2. Once these are pre-installed in the boxes you save lots of time in the field by not cutting holes into the tough metal. 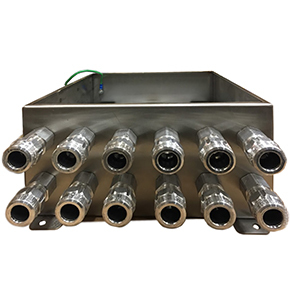 We also supply sealing connectors which are required for incendive devices or when going from one classification to other under certain conditions.